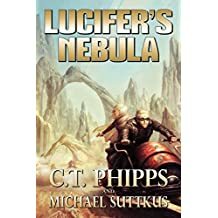 With the newest addition in Phipps’ United States of Monsters series, 100 Miles and Vampin’ picking up where the first book in the collection left off, I had to read it as soon as it was available. With only subtle references to the Weredeer saga, this story returns to down and out vampire, Peter Stone, as he’s still trying to earn a dollar and not ruin the fragile relationship between Vampires and the rest of the world. At the end of the last book, Stone had become the Belladix (read that as Sheriff) for the vampire nation residing in New Detroit. His job is to police the vampires who break the laws. Unfortunately, he doesn’t get paid for it and has to keep his job at the gas station. When his financial woes are bringing him to peak distress, he’s assigned to protect Stephanie Meyer….err I mean Rebecca Plum. A romance/vampire novelist who’s also a vampire that’s a little too into the killing aspect of her species. Vampires hate her for being a psycho murderer, but humanity loves her simply because they love her books and know nothing of her murderous tendencies. In pure Phipps Fashion, everything goes horribly wrong, leading to a chain of events that results in a lot of fun for the reader and a lot of distress for Peter Stone and his friends. Normally, Phipps’ books tend to be about character reflection and this one definitely had a lot in it, but not nearly as much as is usual. That’s not a negative comment, just something that I observed. When we’re not stuck in the moral feedback loops of the character, there’s room for more action and adventure. In the first book (Straight out of Fangton), Peter Stone was able to self-analyze plenty and that left room in this book for a lot more action while still giving us the necessary character development (his relationship with his brother and brother’s killer) just in a much smaller dose. Upon my own reflection, I might be wrong and this book just had the self-analysis interwoven in the character discussions and events. Either way, this book benefits from however it was done. 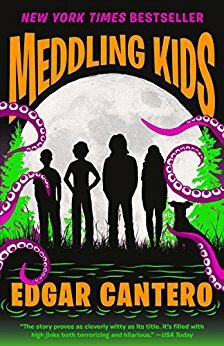 The only thing that seemed to keep haunting me throughout this book was the technically second murder (The big one, not the guy in the bathroom). I kept on wondering what the motive was until it was finally answered, but the answer was so fast and shadowed by the bigger events that had happened since that I had to go back and double check. I’d been waiting so long for the answer that I was left a little uncomfortable with what a minor moment it was. That didn’t detract from the story at all, but played more like a magician’s slight of hand. I don’t mind being frustrated with how simple the answer was when other authors might have left it unanswered and would have left me frustrated to no end. My favorite parts of this book were the powers that Stone showed in manipulating time as well as the action scenes. Every fight played out like a movie, making this book feel more like a proper Blade sequel and that much more enjoyable. Of course, I loved this story, and can’t wait to read the next one. 5 out of 5 stars. NaNoWriMo is my annual holiday. Every year, I put forth an effort to actually succeed at finishing around 50,000 words in one month. Unfortunately, I failed to reach that goal this year. I did not fail NaNoWriMo, though. The good news is that I’m not alone. A lot of people across the world failed to meet their 50,000 word quota for the month. A lot of things come up to distract us from this effort, all easily placed under the header of “Life.” In my situation, I spread myself too thin. I chose to write on three projects at the same time, two of which were collaborations, and because of this my cadence broke and I became lazy. That’s alright as well, though. NaNoWriMo is meant to remind you about your writing commitments. It’s meant to help you self-analyze your writing habits and learn more about yourself in the process. When I first started doing NaNoWriMo, I failed two years in a row to hit that magical 50k, but those first two years were a huge success. They were a success because, before that, I had only ever written around 15,000 words to any one story. In my first NaNo, I wrote around 25k, surpassing my old standard and showing myself that it could be done and that such an insurmountable seeming task wasn’t difficult if I just approached it one piece at a time. Success during NaNoWriMo has little to do with hitting that magical number. That number is just there as a goal for the masses to aim for, but at the end of the day we’re only held accountable to ourselves. While I was distracted by multiple projects and phony excuses to myself, that wasn’t any different than my October had been. The difference was that I wrote 12,000 words in two different titles that I’m working on. I also finished an anthology piece. It was a productive month that only served to highlight a weakness of mine that I had forgotten I had. In an effort to produce as many titles as I could this year, I overbooked, underperformed, and failed to provide. It sounds like failure but it’s the furthest thing from it. NaNoWriMo moved me forward on projects that I had and showed me what I have to do to finish titles in the future. I hope you all had a successful NaNoWriMo, no matter what your word count was. The first thing that everyone, without exception, does when you tell them that you’re expecting a child is offer advice. Sometimes they’ll disguise it as a story from their times as a parent or caregiver and other times they pretend they heard you ask them just so they can tell you. It’s a little annoying, but it’s harmless and, to be completely honest, I’m certain I’ll do it to someone else when the time comes (or I already have!). Now, I’ll admit that my first several weeks with my beautiful bundle of joy was exhausting. She’s perfect in every way, but she is still a baby, and baby’s in those first few weeks can make every day feel like you’re walking through mud. Exhaustion is real, my friends. BUT! Once she started to learn us and we started to learn her everything began to gel and I started to wonder what the heck all of my writing friends meant. I managed to meet two anthology deadlines without any problem. While I still haven’t written anywhere near as much as I would have hoped to have written by this point in 2018, I will proudly admit that it has nothing to do with my daughter. My procrastination in my writing has been entirely the same as it was before she was born. Writing is one of my favorite things to do, but my biggest problem in writing has always been me. Once I sit down and make myself start typing, it flows easily and I can get a lot of words down. It’s that initial “making myself sit down and start typing” that’s the hardest part. And that has nothing to do with my daughter. To that point, there has been adaptation. I don’t expect to sit down and get four straight hours of writing in the middle of a Saturday. Instead, I adapt. I write when she naps, or I write when she’s gone down for the night. In contrast to the myth, having a child doesn’t require 100% of your day. She does require 100% of your love and attention when she’s awake, but if she’s napping next to you looking all adorable, there’s no reason you can’t pop open your laptop and let her be your writing muse! I’m only speaking from the position of a parent who’s only child is under 6 months old. It’s likely that as she ages and and her needs change I will find less and less time to write. The good news is that I don’t believe any of that. I believe that as her needs change I’ll adapt my writing schedule and style. I’ll still procrastinate but I’ll also evolve as my daughter grows. “Good luck finding time to write,” is a nice sentiment, but it implies that my not writing is her fault. That’s not true at all or we’ll have to blame Netflix and Cat-petting as well. Nope, my schedule and how I find time to write are entirely on me. I’m responsible for when the words get on the page, and I’m responsible for when they don’t. That being said, I totally wrote two more chapters in the next Andrew Doran novel last week. You’re welcome. I love my Peanut. Her and Ren are the best Muses a guy could ask for!